While we've sadly seen a few faces leave the WWE over the past week, the company has brought several stars up from NXT and 205 Live. One such star, Cedric Alexander, wrestled his final match on the Purple Brand tonight and was greeted by a certain Big Dog. After several years building up the cruiserweight division, Cedric Alexander was drafted to Monday Night Raw last night. The Soul of 205 Live was one of a handful of stars featured weekly on the show, helping to rebuild the brand after a few months of bad luck near the end of 2017. Alongside Mustafa Ali, Buddy Murphy, Drew Gulak, Kalisto, and Hideo Itami, Cedric Alexander turned the show around, making it a must watch for die-hard wrestling fans around the globe. You'd be hard pressed to find someone that watches the product today who doesn't have at least one Cedric Alexander match in their list of best matches of 2018, and it's clear that he's caught the eyes of the higher ups in the WWE. In a short vignette, it was revealed that Cedric Alexander will be debuting on Raw over the next few weeks. Tonight, he faced off against Oney Lorcan in what would be his final match on the brand he called home since its introduction in 2016. In the main event of 205 Live, Cedric Alexander fell to the Star Destroyer Oney Lorcan. After two Half-and-Half suplexes divided by a brutal lariat, the Age of Alexander officially came to an end. He shook the hand of Lorcan after the match, and took in the 205 Live crowd one final time. After walking up the ramp, he was met in guerrilla by three superstars. First, was Oney Lorcan, who thanked him again for the match up. 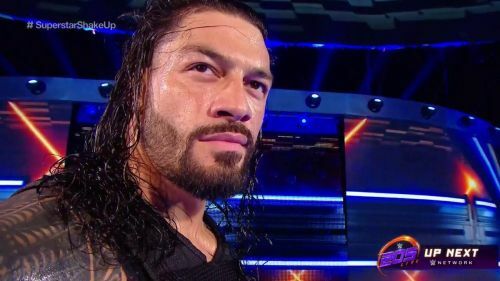 Next, was the Big Dog, and SmackDown Live's newest star, Roman Reigns. The former Universal Champion congratulated him on his promotion to the main roster. Finally, Mustafa Ali awkwardly embraced his best friend, attempting to not get Alexander's sweat on him. Alexander jokingly said, "Hey, I hugged you when you went up." It'll be interesting to see where Cedric Alexander's career goes from here. Not only is he one of the best high-flyers in the world, but he's one of the best pure talents in the ring. On Monday Night Raw, he has a whole new variety of opponents to face off against. And though there's some incredibly stiff competition out there, it looks like a new Age of Alexander is set to begin very soon.